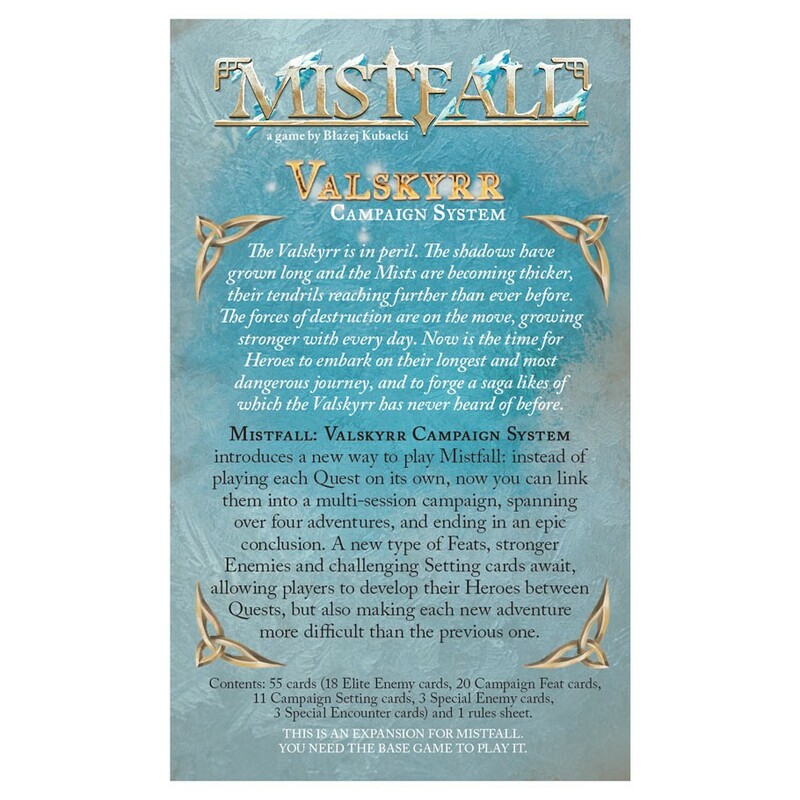 Valskyrr is a mini-campaign expansion for Mistfall, which introduces a number of new elements, some of which can be used outside of campaign play. Setting Cards: As your Hero Develops, so do the Mists. 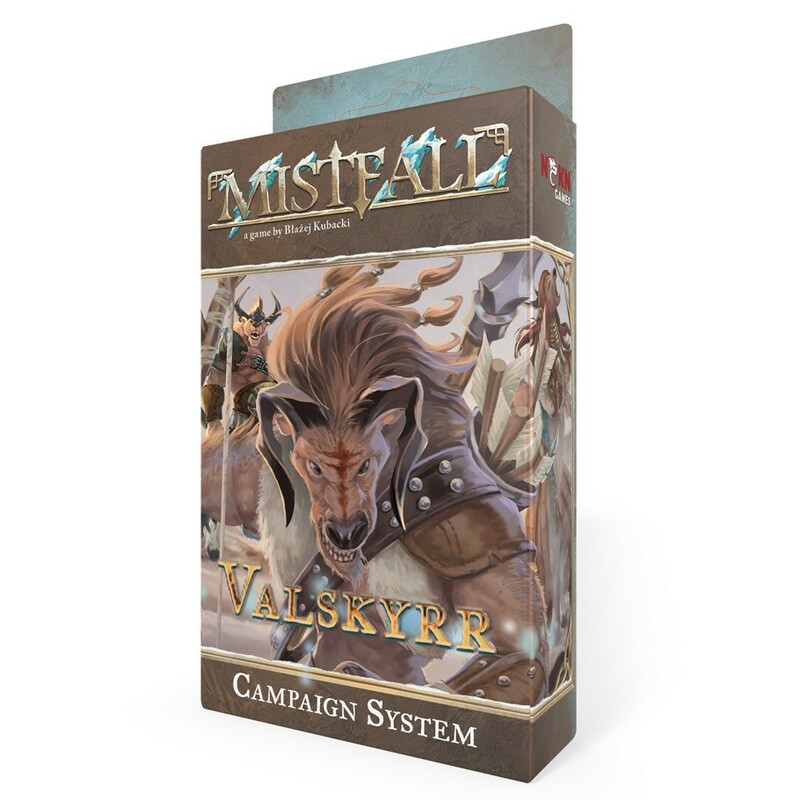 The expansionpack comes with a small deck of cards that will randomize ways in which each subsequent Quest will become harder, as the relentless Mists, aware of your presence, will push back, trying to stop your advance.